Throwing up is a bad experience for most of us. However, in some situations, it can help you feel better by expelling unwanted food and harmful substances. This is very important as it can help prevent food poisoning and avoid sick feeling. Vomiting can also help relieve the upset stomach, nausea, and weakness after taking too much alcohol or a bad meal. Especially when you eat toxic or harmful substances, vomiting is the quickest and most effective method for relief. Vomiting has so many benefits, yet most of us do not know the right way to induce vomiting. If done incorrectly, inducing vomiting could cause harm to your health. It may cause dehydration, burns in your esophagus and swelling in the airways. Keep in mind that forced vomiting should only be done when necessary. If you make sure you will make yourself throw up, you need to know the right ways to vomit. First, let’s look at when it’s safe to make yourself throw up and when it’s not safe. When it’s Safe To Make Yourself Throw Up? When it’s NOT Safe to Make Yourself Throw Up? What You Should Do Before Throwing Up? What You Should Do after Throwing Up? How to Stop Yourself From Vomiting? Should you Make Yourself Throw Up to Lose Weight? Eat rotten or spoiled food, causing your body to vomit spontaneously. Ingestion of non-corrosive, non-toxic substances, such as pills, cyanide, heroin, etc. Stomach disorders caused by excessive diet or excessive drinking, and food-borne intestinal complications. Note: You’d better consult your doctor and poison control center before attempting to induce vomiting. Having vomiting can put you at risk in these situations. Acidic liquids or toxic chemicals such as bleach, pesticides, gasoline, and acids. Vomiting corrosive or acidic substances can damage your airways, esophagus, throat, and mouth, causing chemical burns. Vomiting can not help you to discharge these toxins. Instead, it may increase the rate of absorption of toxins in your body, causing toxic substances to migrate to the lungs, causing more serious damage. Solid or sharp objects, including buttons, rings, coins, nails, toys, and more. If you try to vomit, the subject may get stuck in your airways or scratch the stomach and throat. Petroleum products, including gasoline, kerosene, paint thinner and other flammable products. If you try to vomit, they may cause burns to your respiratory tract, mouth, throat, and esophagus. Frothing substances, including soaps, detergents, and shampoos. If you try to vomit, these substances may reach the respiratory tract and lungs, causing swelling, inflammation and burn. Do not use this method to lose weight as it can result in severe malnutrition, eating disorders, and other life-threatening conditions. Pregnant women do not vomit yourself because this may result in deprivation of the baby’s vital nutrients. This will affect the health and safety of the fetus. Inducing vomiting is also not recommended for children under 12 years of age. Before using these remedies, it is important to understand the process and its possible side effects. If you still feel uncomfortable or uneasy after trying the remedies discussed in this article, see your doctor immediately. This may be the easiest and fastest way to make yourself throw up. You can active your gag reflex by using your fingers, allowing you to throw up faster. This technique is also useful when you are drunk as it will make it easier to throw up by making you dizzy. First, you need to cut your nails to avoid scratching your throat and causing wounds. Then wash your hands with soap and clean water to avoid bacterial infection. If you have long hair, remember to tie them up. Choose a suitable place to vomit such as a toilet, sink or disposable vomit bag. Choose a comfortable posture, do not press your abdomen area. You can also sit in a comfortable position or kneel to help your body throw up. Insert your middle and index fingers into your mouth, placing them over your tongue. Move toward the back of your throat so you can touch the palatine uvula, the little thing that hands down from the back of the mouth’s palate. Gently press your fingertips downward. You will soon feel stomach cramps and start vomiting. This will make you feel nauseous. If you can not vomit, repeat this method a few times until you throw up. Rinse your mouth and throat remover with warm water to remove odors and stomach acid. Remember not to brush your teeth immediately after vomiting. Saline water is a natural and low-cost remedy to induce vomiting at home. It can also help treat a sore throat effectively. Salt in sodium can disrupt your body’s natural electrolyte balance and induce you to expel the water. However, remember that you can only consume no more than 1.5 g or ¾ teaspoon of sodium per day. Also, this procedure is not recommended for individuals who are on a sodium-restricted diet. Add 2 to 3 teaspoons of salt and 16 ounces of warm water to a glass. Stir it well until the salt is dissolved completely. Drink the solution as quickly as possible and wait for about 20 to 30 minutes for the solution to work. If it fails to work after 30 minutes, you can try finger or toothbrush to speed up the process. Note: Consuming more than 1.5 g of sodium can cause hypernatremia. This condition occurs when the sodium content is almost the same as the water level in the body. 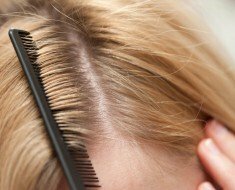 It causes neurons to shrink and may cause seizures and brain damage. A mustard solution is an easy and effective homemade emetic. Mustard has natural emetic properties. The unpleasant sight, taste, and smell of the drink will make you nauseous and induce your vomiting quickly. Add 1 to 2 tablespoons of mustard into a glass of warm water. Mix it thoroughly and drink this solution in one gulp. Wait for about 20-30 minutes for the solution to produce results. You need to drink this very quickly so that you can vomit easily. Some people will vomit immediately after drinking, but it may not work for others. Note: Mustard may seem like an ideal remedy but it cannot be taken in large doses, as mustard is rich in sodium that is not good for your health. In addition, this method has not been scientifically proven, it may not work for everyone. Always check the different options available above so you can choose the one that will work best for you. 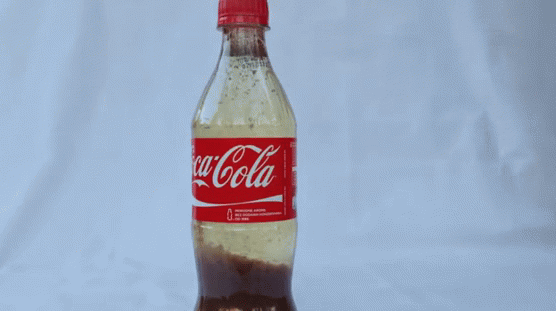 Do you know that drinking Coca-Cola can also be used to induce nausea and vomiting? Coca-Cola is commonly used to treat an upset stomach. However, if it has run out of gas, it will make you feel sick and want to vomit. The high sugar content in the Coca-Cola will stimulate your stomach and induce nausea. To use this treatment, simply drink some Coca-Cola that has run out of bubbles every hour and drink some water as a follow-up. If the fresh Coca-Cola doesn’t work, you can try drinking some stale coke instead. To get rid of the bubbles of this drink, leave it unattended for a short while. The bubbles will disappear and it will be flat enough to induce vomiting. This is most effective if you feel that you are suffering from food poisoning. It can help purge the harmful substances from your stomach fast. Have you ever experienced vomiting when your toothbrush touches your throat? 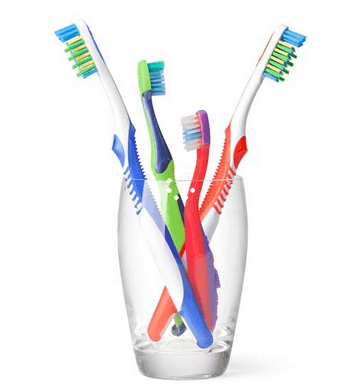 Toothbrushes can be used to induce vomiting, not just brush your teeth. This method is especially helpful if you feel the finger method disgusting. To do this, you just need to trigger the gag reflex that induces you to throw up. First, make sure that your bristles are wet and rub it against the back of the tongue until you feel the need to gag. Repeat this process until you throw up. The rubbing action will induce the gag reflex and induce yourself to vomit quickly. After you vomit you need to gargle to get rid of the taste of vomit from your mouth. Ensure to clean the brush thoroughly with hot water or replace it with a new one. Because the body’s sensory stimulation reacts to certain situations in different ways, watching someone vomiting can make you feel nauseous and result in vomiting. The foul smell of someone’s vomit also activates your gag reflex and cause vomiting. In this case, you will need to look for foods or objects that produce unpleasant smell to help you throw up quickly. You can try to smell rotten vegetables or fruits. Prolonged exposure to the foul scent will make you vomit. If that does not help, you can watch videos of people vomiting online and put your finger in your mouth to help your body expel stomach contents. Remember that watching someone else vomit can be very disgusting for your system and you need to make a lot of effort to restrain yourself but if you want to vomit, you can just go with the flow and start vomiting the contents of your stomach easily. When you expose yourself to unpleasant smells and sights, the neurons in your brain will react to unpleasant smells and sights and lead to nausea. These conditions include puke, poop, phlegm, mucus, dead and decaying matter. The foul sight and smell can cause you nausea and vomit fast. If you know something that can cause you to vomit, just go for it. If this doesn’t work quickly, you can speed up this process by putting your hand in your mouth. This method sounds weird, but many people report it is useful. The power of self-suggestion will trigger nausea and induces vomiting. By just thinking about vomiting can activate your gag reflex. Look for a place where you can vomit comfortably, such as toilet or bucket. Kneel or sit down. Make sure that you are not pressing your abdominal area. Focus your thoughts on the thing that make you sick and nausea. You can think about the sights, sounds smell of disgusting food or medicine you have eaten. This method works for many people, but it does not prove that it works for every people. If it is difficult to focus your mind, you can try other methods. Although raw egg whites are very useful to remove the toxins in your stomach, its smell and taste are quite unpleasant. Many people cannot bear the taste of raw eggs, making them vomit once they swish it in their mouth. This makes egg whites an effective method to induce vomiting. 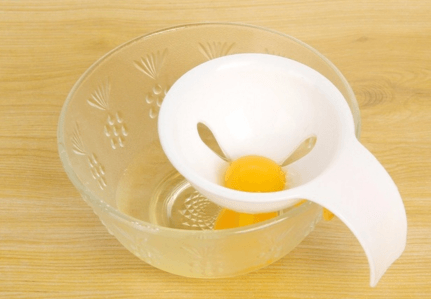 Beat the egg whites and separate two to three egg whites from yolks in a small bowl. Gargle with the egg whites until you feel like vomiting. If you are unsuccessful on your first try, repeat this process until you vomit. If you are at home, one simple way to induce vomiting is consuming apple cider vinegar. This treatment is an excellent remedy if you suspect that you ingested rotten or contaminated food. The strong scent of organic apple cider vinegar can make you feel nauseous and help you throw up immediately. To use this treatment, simply consume one to two tablespoons of apple cider vinegar. The strong taste and scent of it will make you vomit instantly. This solution will also help in cleansing your body as it can combat bacteria and other unwanted pathogens, thanks to its acidic properties. The body usually gives you a sign when you have eaten too much food. When you still continue to eat even when your body is telling you that you have had enough, this can induce vomiting. This method has been recommended by many websites. However, this is really not a good method. In many cases, it doesn’t work at all. In addition, If you don’t throw up after overeating, it can cause stomachache and digestive issues. Emetics medicines are medicinal drugs designed to help induce vomiting. This is one of the most effective ways in order to induce vomiting. Ipecac syrup is the most common emetics. You need to mix this with water and take it quickly. The medicines can make the stomach wall contract so that it can induce vomiting. However, keep in mind that you could also experience some side effects such as a headache, dizziness, lightheadedness, low blood pressure, fast heartbeat and shortness of breath etc. Remember that ipecac syrup is usually used for people swallow poison. It is very strong and makes you feel nauseous and discomfort. You should consult your medical professional to choose a proper dosage to use. Otherwise, it will make a harmful effect on your health. Bloodroot herb also known as bloodwort is a traditional plant that has been used to induce nausea and vomiting. Many people have heard that Bloodroot herb can help vomit. But a lot of people don’t know it contains toxic components. Large doses of bloodroot herb can cause a sore foot, tunnel vision, and even death. Try to avoid this remedy, you have a lot of other safe and natural remedies to induce vomiting. The bloodroot herb isn’t really a good solution. If you must opt for this method, make sure to consult a health professional first. Pay attention to the signs that will let you know if you are going to vomit or not. This will let you be prepared and ready if in case you need to vomit again in the future. You can tell the people that you are with that you are about to vomit so they will not become surprised anymore. If you have long hair, tie it or allow someone else to hold it for you so it will not get splashed with vitamins. Take deep breaths so you will not feel uncomfortable about vomiting. Even if there are other people around, you need to be relaxed enough about the things that you are going through. You can pinch your nose while you vomit so that you can prevent the vomit from going through your nose. If you have used a bucket in order to vomit, you can throw the vomit on the toilet so that you can clean easily. Rinse your mouth: After vomiting, you should rinse your mouth with plain water first. This can help you to get rid of the bad smell in the mouth and wash away the residual stomach acid. Remember not to brush your teeth immediately because the toothbrush may damage the tooth enamel softened by the stomach acid. Drink water: Vomiting will make your body lose a lot of water, so you need to immediately drink a lot of water, you can also add a piece of lemon, but do not drink alcohol which will make your stomach uncomfortable. Drink some herbal tea: To protect your digestive tract after vomiting, you can drink some herbal tea such as chamomile, fennel, ginger tea, chamomile tea, artichoke and melissa tea, etc. They can effectively prevent your stomach nausea and reduce spasms. Eat some plain food: You can eat some plain food such as oatmeal, yogurt, soup, banana, porridge and so on. These foods are easy to digest and can effectively help you regain energy. Have a rest: After vomiting, you need to rest, vomiting can make your body losing a lot of nutrients, so your body needs enough rest time to recover. Avoid alcohol, caffeine and other acidic fluids that could cause stomach discomfort. If the problem persists, see your doctor for proper diagnosis and treatment as this could be a sign of another health problem. Inhaling fresh air is the best way to stop yourself from throwing up. You just need to open a window or take a walk outside. Drink some ginger ale or Gatorade.These drinks contain sugar that can help calm the stomach. Make sure to avoid acidic drinks such as grapefruit juice or orange juice which will worse your condition. Sniff some essential oil or perfume.This helps prevent you from smelling the odor of vomit.You can also keep a little bag of cloves or potpourri in your pocket. Sit down and massage. You can find the acupoint in the inner parts of your wrists.Gently press and massage can help lessen nausea. Chew gum or eat a popsicle.This can help distract your attention and soothe your stomach.You can put some mint or mint-flavored chewing gum in your pocket. Forced to divert your attention.You need to turn your attention to something else such as TV show,a painting or a song.You can also try pinching your arm slightly or biting your lip. Induced vomiting can be a good method of removing toxins and harmful substances you might have ingested. But unless the situation is inevitable, you’d better do not induce it by yourself. Keep in mind that inducing vomit should be the last resort. Self-induced vomiting could cause an esophageal tear, burning of the mouth, throat, and esophagus. Also, it may harm your upper digestive tract. In addition, it may let your body become prone to it. This will lead your body to throw up on its own. Never use this technique to lose weight. There are many natural remedies that can help you lose weight. Click here to learn how to lose weight naturally.